Steve Jobs had unveiled the first iPhone to the world on 9th January, 2007. Then what’s it doing in a painting from 350 years ago? “I always thought I knew when the iPhone was invented, but now I’m not so sure anymore,” Apple CEO Tim Cook joked at a conference last year, while displaying the painting in question. 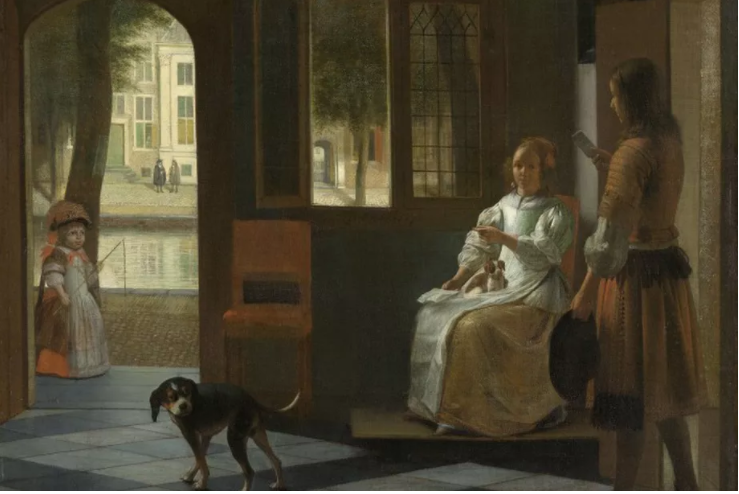 The painting was painted by Pieter de Hooch in the 1650s, and showed a typical Dutch home. Yet the woman on the right is holding up what unmistakably looks to be an iPhone. Cook’s unveiling of the painting last year has set off a bit of a trend. Earlier this year, the internet was once again obsessing over a painting called ”Mr Pynchon and the Settling of Springfield’ by Umberto Romano. 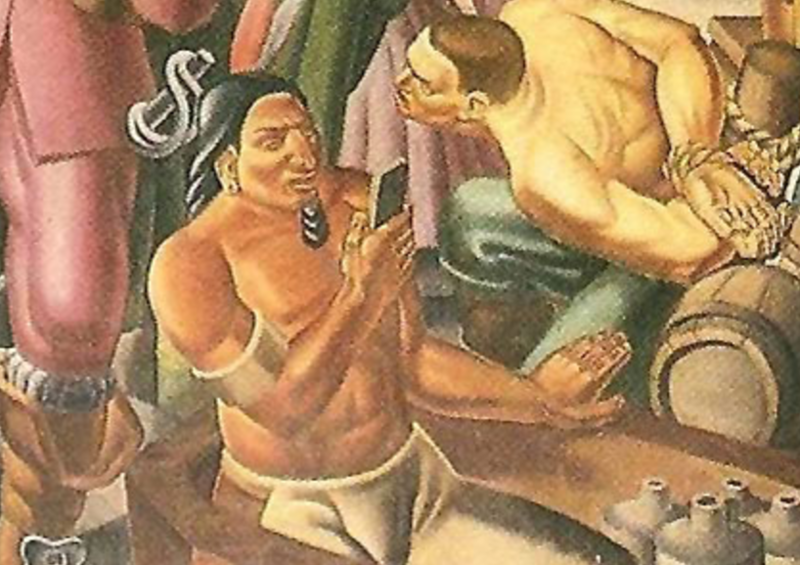 Painted in 1937, it represented the European conquest of the Americas from 400 years ago. Yet amidst all the carnage, there’s a native American man who very clearly seems to be taking a selfie. And the internet is again abuzz after the discovery of yet another iPhone. 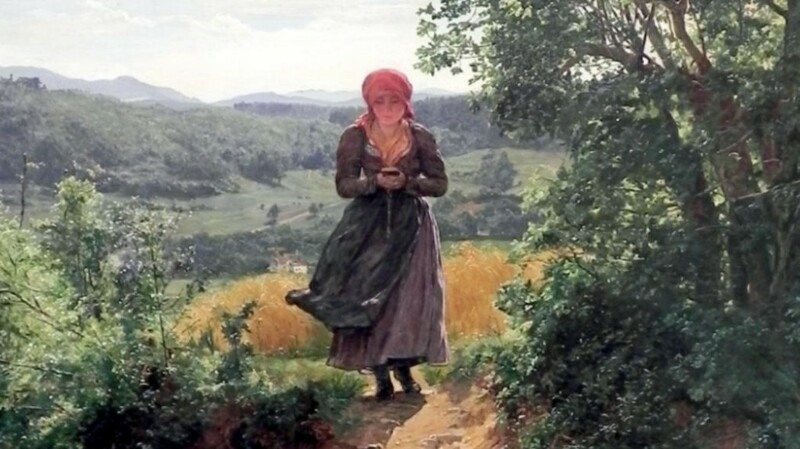 “The Expected One,” a painting by Austrian painter Ferdinand Georg Waldmüller from 1860 shows what could be nothing but a girl engrossed in her cellphone. 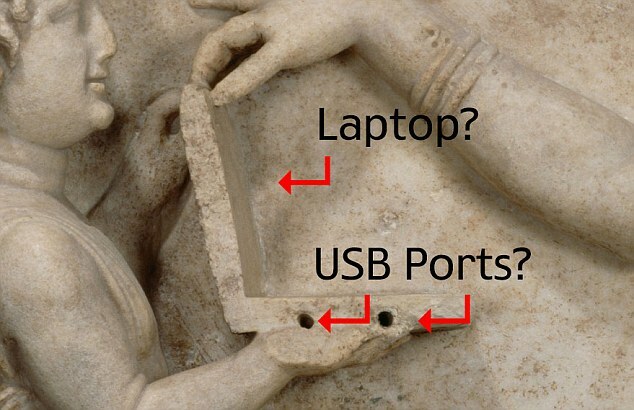 But it’s not just iPhones that have popped up at unexpected places in history. 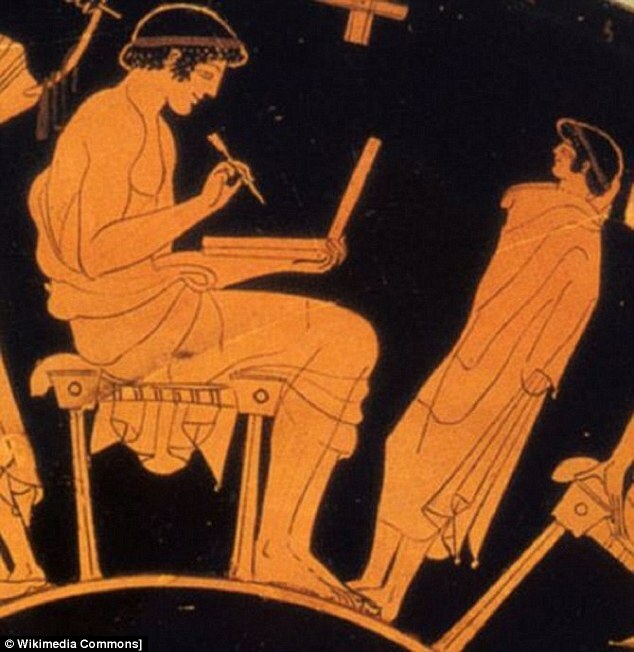 This painting from ancient Greece seems to show an ancient Grecian chilling with his laptop. He’s even got a stylus for good measure. 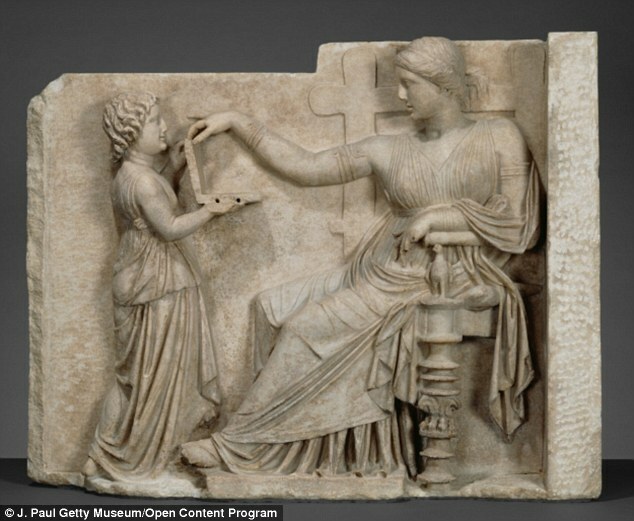 And the ”Grave Naiskos of an Enthroned Woman with an Attendant,” a statue from 100 BC, shows an ancient Grecian woman checking out what could be the latest Homerian blockbuster on her laptop. That’s what conspiracy theorists say anyway — historians go with the significantly less interesting explanation that the woman is ‘touching the lid of a shallow chest’. You can see why these conspiracy theories persist though — the last one even has USB ports.